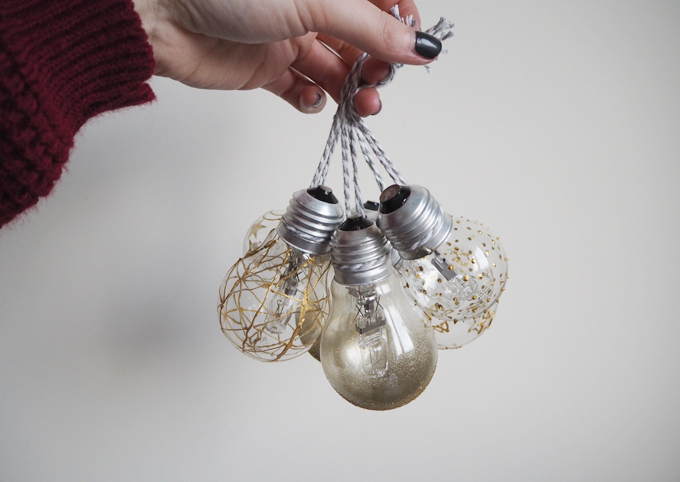 For day 9 of my #12daysofDIY challenge I am sharing a cool alternative bauble DIY. 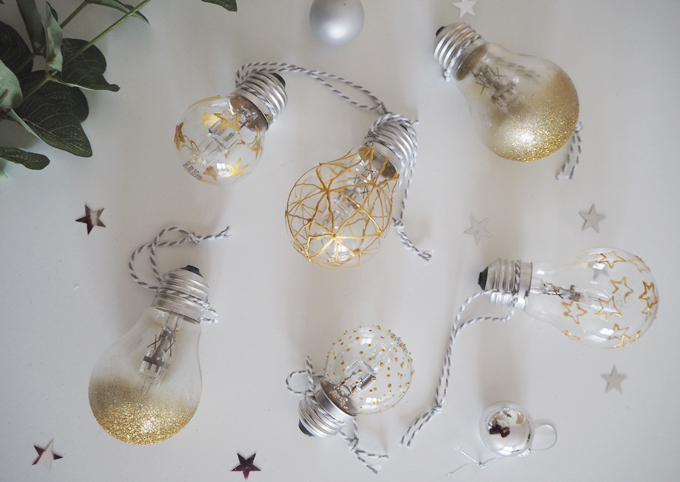 I had a few spare light bulbs lying around the house, so I thought I would transform them into something a little more glamorous this Christmas, some festive baubles. 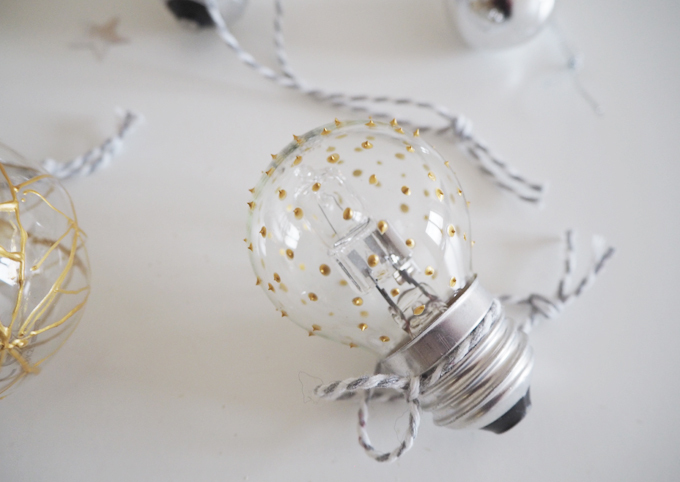 These little guys are super easy to make and are a great alternative to your traditional bauble. To start, I secured the bottom of my light bulb down to the table with a little white tac, this way I could decorate it without it falling over. 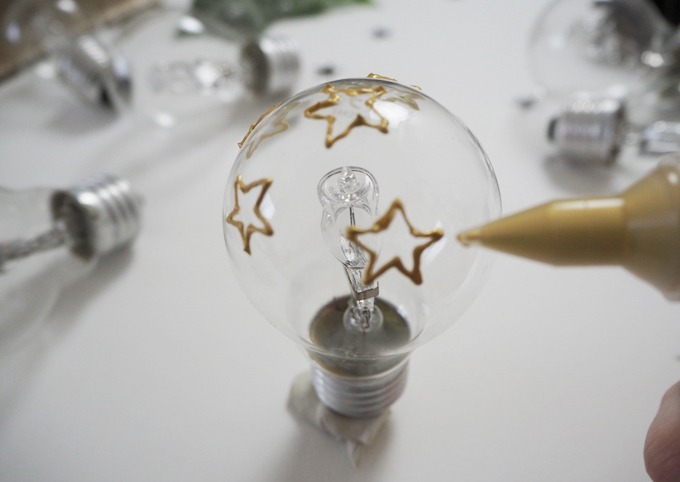 For the first light bulbs I used a gold paint outline pen for glass, and drew some stars around the glass part of my bulb. If I made a mistake, I used a cotton bud to wipe away any smudges. I created a lined trellis design on another light bulb using various horizontal and diagonal lines before setting it aside to dry. 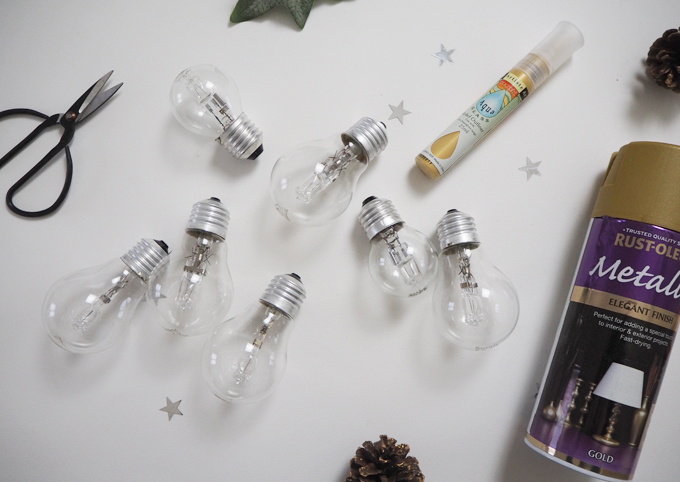 You can create any design you like, I could have carried on for ages drawing different designs on the bulbs. 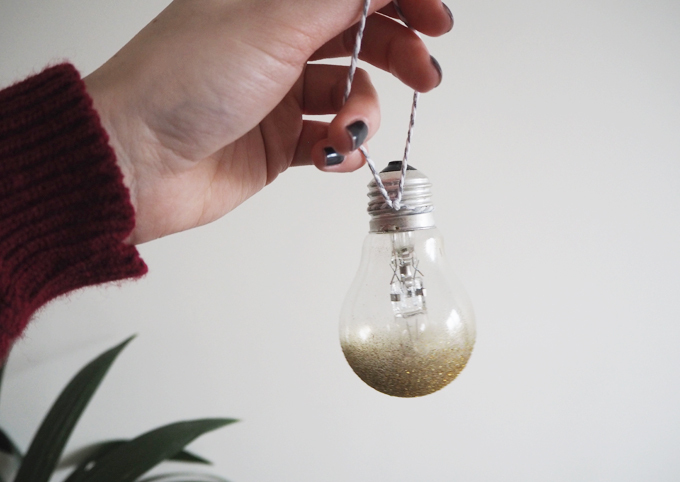 If you want to add a little sparkle to your bulbs, why not try spraying them with gold spray paint on top then sprinkling them with gold glitter like I did. 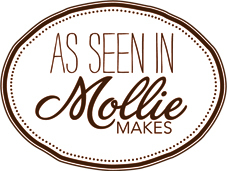 This created a kind of ombre gold effect, which looks super festive. It took about 24 hours for my bulbs to fully dry, after which I tied a length of string around each at the to to create a loop for them to hang from the tree on. 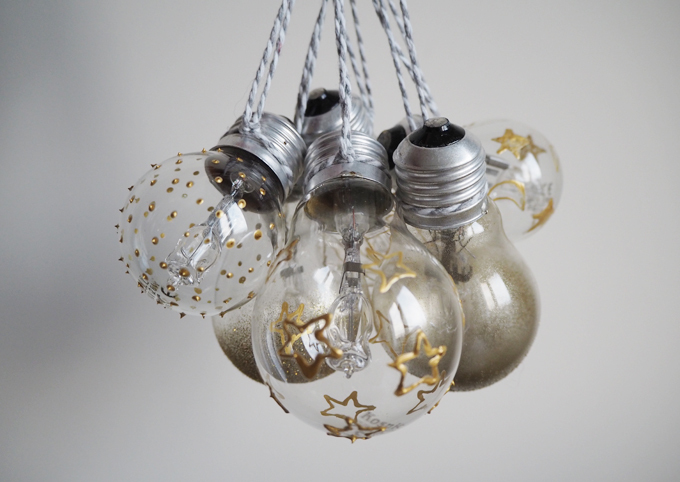 I am absolutely chuffed with how these baubles turned out. 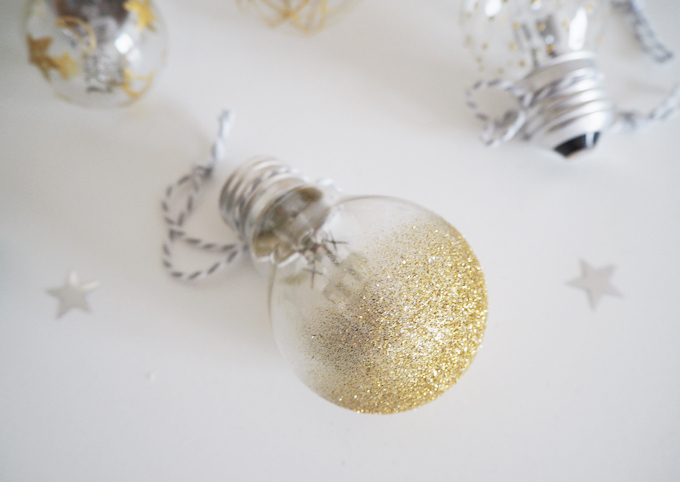 The gold paint on the clear glass looks fab and oh so Christmassy. 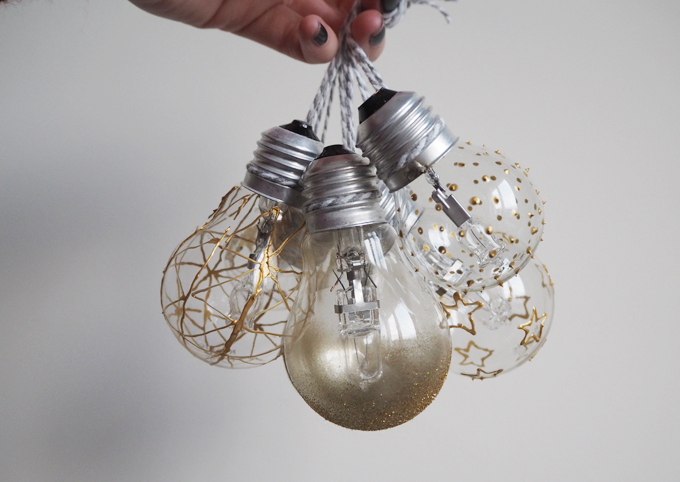 Who knew you could use those old boring bulbs to create something sooo pretty?!? 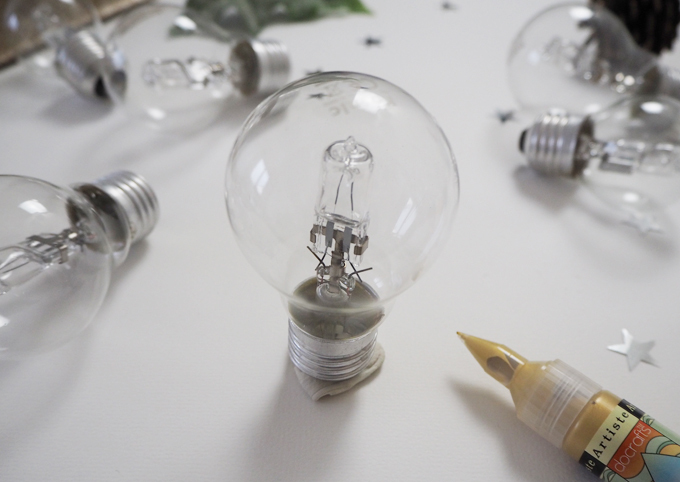 You could try using those rustic antique bulbs for this DIY too, I think that would look cool, or why not try a different coloured paint to suit your decor. 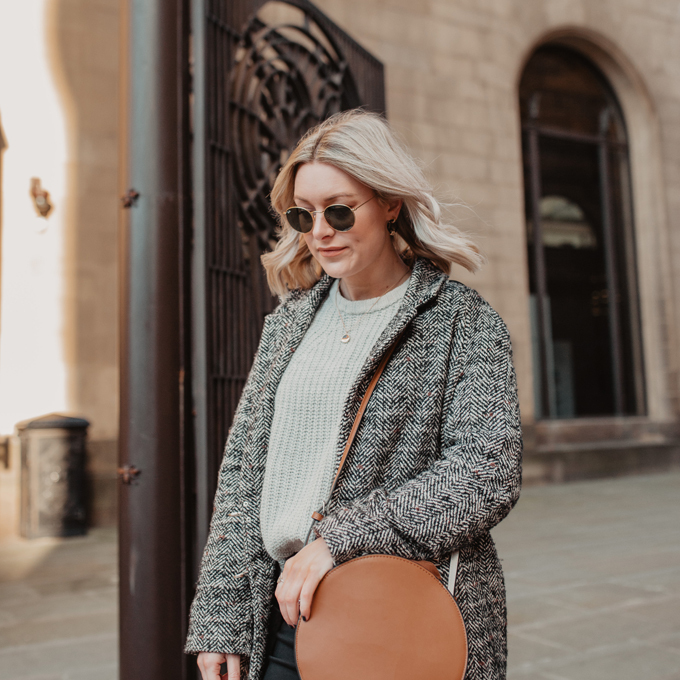 Throughout my #12daysofDIY challenge I am raising money for Shelter by posting every day for the first 12 days in December. Winter is a tough time when you don’t have a safe secure home and I wanted to do my part to help those less fortunate this Christmas. If you would like to read why I am doing the challenge and more about Shelter, and see the full list of tutorials click here or if you would like to donate and change lives this winter, click the button below.